Frederick J. Fisher, J.D. is currently the President of Fisher Consulting Group, Inc. and was the Founder of E.L.M. Insurance Brokers, a Wholesale & MGA facility specializing in Professional Liability and Specialty Line risks. He is a Member of the Editorial Board for Agents of America; a Faculty Member of the Claims College, and Member of the Executive Council, School of Professional Lines sponsored by the Claims & Litigation Management Association and course designer and webinar Instructor for the Academy of Insurance (sponsored by the Insurance Journal). Since his career began, Mr. Fisher focused on one vision: providing financial security to the client. The result was a successful 40 year career in Specialty Lines Insurance. In 1975, Mr. Fisher began his career on the service side, as an Independent E&O claims adjuster. In 1982, he bought the Company, continued with claims, while expanding the firm’s services to include qualitative claim auditing, risk management & loss control services, and acting as a TPA. In only 4 years, the annual billings increased by 400%. His claim auditing techniques and recommendations resulted in substantial client savings (including the SCRTD now known as the Los Angles MTA). 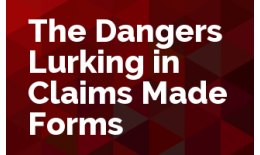 Many Insurers and self-insured’s adopted not only the performance standards raised in the audits, but adopted his recommended Attorney Management Guidelines as a base, which are still in use today by many major insurers. In 1995, he formed what is now known as ELM insurance Brokers, a firm that has acted as an MGA and Wholesale Broker of Professional Liability Insurance and Specialty Lines. From nothing, the firm grew rapidly to a $30 Million dollar facility when sold in 2008. He has lectured extensively on professional liability issues since 1978, and authored over 64 articles in trade journals and periodicals. He is the author of BROKER BEWARE, Selling Real Estate within the Law. He designed a program to conduct on site pre-underwriting risk management assessments of a clients' professional liability exposures. In 1993, he was elected to the Professional Liability Underwriting Society (PLUS) Board of Trustees. After serving in all Officer capacities, he was elected President in 1997. He remains a Special Materials Expert for several RPLU courses and is the Senior Technical Advisor for The Professional Liability Manual, first published by the International Risk Management Institute in 1990. He has taught over 100 CE classes and lectures. He testifies regularly as an expert witness in cases dealing with the duties and obligations of professionals as well as on coverage and claims-made issues. 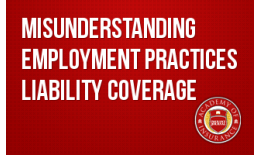 Employment Practice Liability is a highly demanded coverage. It is no longer considered an expensive luxury, but rather a necessity. 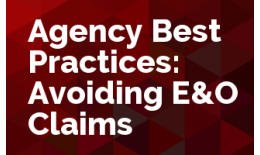 This course will clear up several common misconceptions beyond the fact that D&O policies EXCLUDE ERISA Claims. 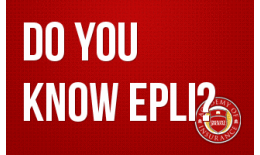 Learn the basic information and features necessary to understand EPLI as well as the requirements necessary for underwriting this line of insurance. 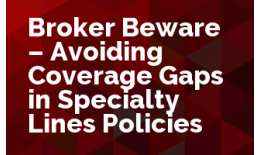 Learn how insurance companies and retail brokers are focusing on D&O liability Coverage as a profitable business strategy and as an entrée to a clients highest level executives. 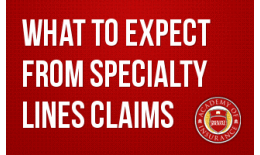 This webinar gives an overview of the specialty-lines claims process as experienced by insureds and brokers. 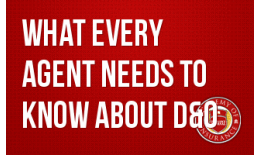 Director & Officer Liability is a complex coverage. 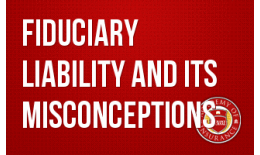 Whether it is a small Non-profit, privately held Corporation, or a publically traded company, it is not a coverage for the unwary. 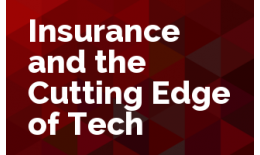 This webinar will examine the insurance and non-insurance implications of evolving trends in technology and Social Media, with a look into the not-to-distant future of what could be emerging in the next decades to come. 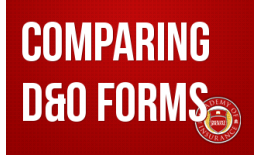 Specialty Lines Claims Made forms are not standardized. Rarely are competing forms alike.